Over the past year we have seen further consolidation in the roadside retail market with upmarket food chain Waitrose partnering with Shell to offer a joint format c-store on existing Shell fourcourts. With Waitrose and Shell positioned at the top end of the market the alliance creates a powerful brand synergy, and has opened up a new market for the food retailer. Having trialed the format in Watford and Bayswater, Waitrose is on course to roll out its small format 'little Waitrose' stores across 100 or so Shell locations. 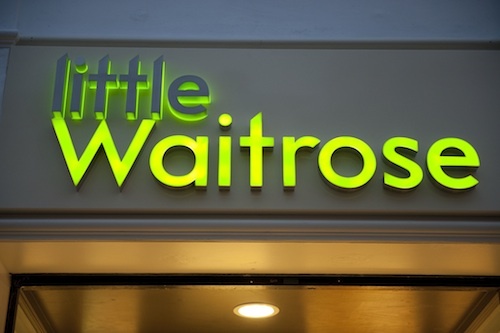 According to Mark Price, Waitrose’s managing director, the expansion will increase consumer reach by a further six to seven million, enabling a new wave of shoppers to access the outlets. Waitrose is by no means the only supermarket to build a strategic relationship with fuel retailers. Marks & Spencer has been trialling its upmarket M&S Simply Food brand for some years, linking up with BP as early as 2006. It now has stores throughout the South, the Midlands, North West and Scotland and has further plans to penetrate the roadside retail sector even further. These tie-ups widen fuel retailers core business beyond fuel and pumpside services into impulse food and drink lines including the ready meal and convenience markets. Always looking for competitive advantage, leading fuel retailers such as BP are going the extra mile by extending their brand offering into the digital realm by providing added-value services such as internet kiosks, broadcasting branded TV traffic updates and weather forecasts as well as environmentally-friendly motoring tips.